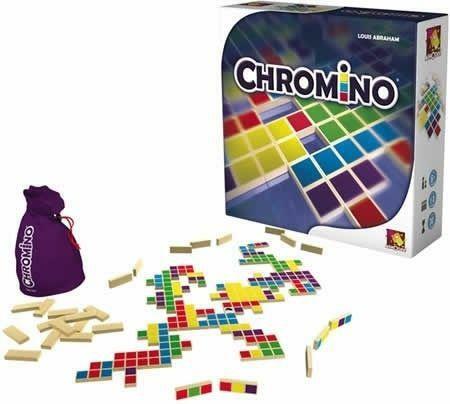 Chromino – short for "chromatic domino" – challenges players to empty their hand of chromino tiles first. Each such tile has three colors on it laid out in a 1x3 row. At the start of the game, each player takes a hand of eight chrominoes and a special start tile with a wild center square is placed face-up on the table. 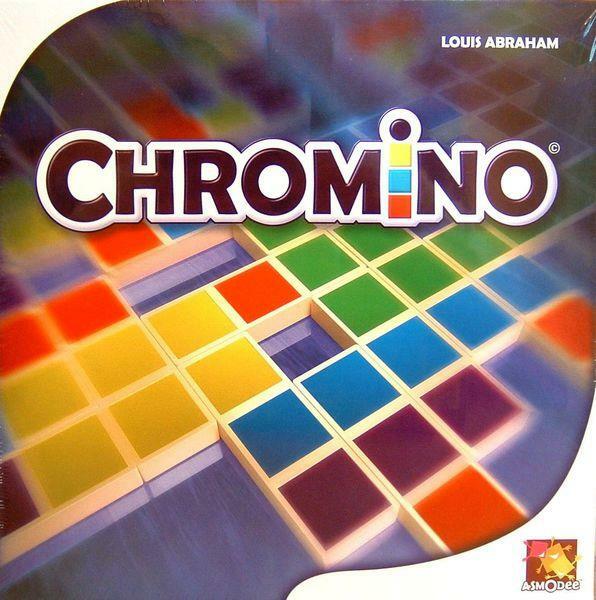 Each turn, a player either places a chromino from her hand onto the table – with that chromino tile matching at least two colors on adjacent tiles already on the table – or else she draws a new chromino tile from the stock, playing this tile if possible and keeping it otherwise. The first player to empty her hand wins. Chromino includes variant expert rules.